One week ago Ola Al-Qaradawi and Hosam Khalaf were both scheduled for their 45 day renewals. Lawyers were informed that all court hearings were rescheduled to Saturday February 2, 2019 due to increased security protocols in place because of the January 25th revolution anniversary. Today Ola and Hosam were transferred from prison to the courthouse in the police academy within the Torah prison complex for their pretrial detention extension hearing. The lawyers continued to call in court for the release of Ola and Hosam. However the judge extended their detention for another 45 days without any due process. Ola and Hosam have been imprisoned by the Egyptian government for over 580 days with charge or trial. Ola and Hosam are elderly grandparents, and cannot sustain this type of treatment. They are being denied their most basic rights. Every 45 days hopes of their freedom are crushed with yet another renewal. A congressional letter was sent to Secretary of State, Mike Pompeo, in December 2018 addressing the human rights violations Ola and Hosam have been subjected to. Pompeo visited Cairo in January 2019 and Ola and Hosam’s children hope that he raised the case during his visit to Egypt. The #FreeOlaandHosam campaign has been garnering more support from individuals, and organizations nationally and around the world. While it is disheartening to see yet another renewal for Hosam, the campaign will continue to fight for Ola and Hosam’s freedom however long it takes. 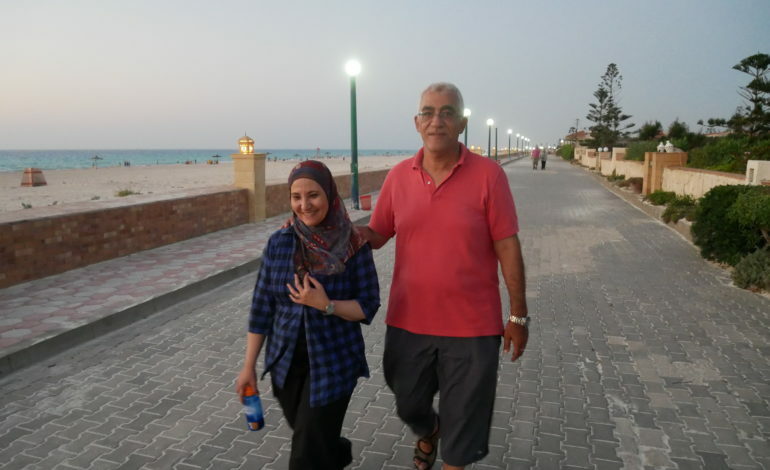 The family calls upon the Egyptian government to unconditionally and immediately release Ola and Hosam.